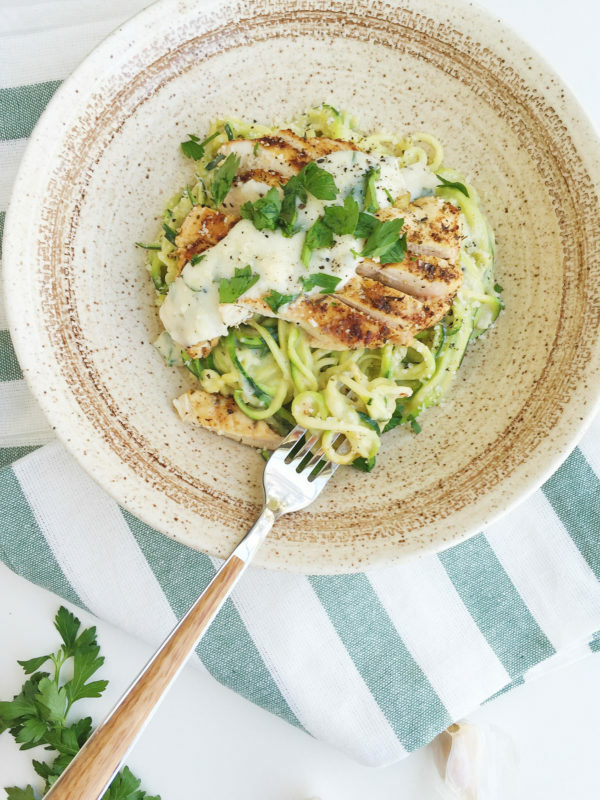 This lightened up Chicken Alfredo gets a healthy make-over; made with nutritious zucchini noodles, a lighter, cheesy Alfredo sauce, and plenty of herbs and spices. It’s decadent, delicious, and healthy. 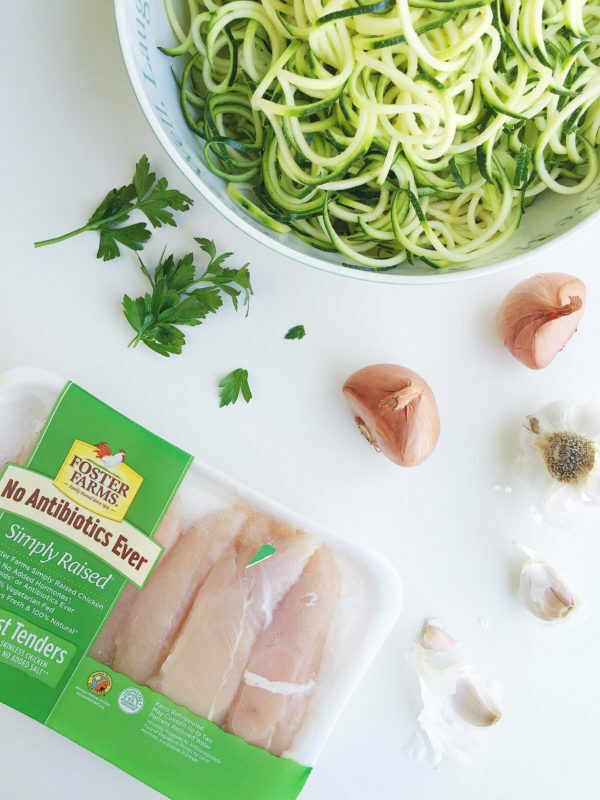 I’ve teamed up with Foster Farms Simply Raised Chicken to bring you this post. We’re redefining the #NewComfortFood. I have to be honest. 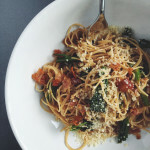 I’m an Italian and comfort food to me generally means one thing: Pasta. rt food go-to’s would usually be baked ziti, lasagna, pasta e fagioli, etc. 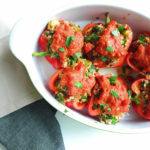 However, I try to eat as healthy as possible, and now I love to re-define these comfort foods to lighter alternatives. After all, my favorite thing about comfort food is the feeling it brings. That’s why it’s called comfort food, I suppose. Eating a piping hot, comforting bowl of a homemade baked pasta dish takes me back to my childhood. But it also can make me feel lethargic, overly full, and ready for a nap. But here’s the good news! 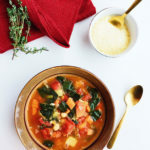 Comfort foods can be recreated and re-imagined into delicious, nutritious meals that bring you energy and nostalgia, too. Chicken Alfredo is always one of my favorite comfort food fixes. It always reminds me of when I worked as a Pastry Chef for an Italian restaurant in San Diego years ago. My coworker made an amazing Chicken Alfredo, which we would sometimes get treated to for lunch. 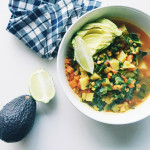 But who wants to go back to work after eating a bowl of that?! I’ve decided to bring you lightened up Chicken Alfredo. 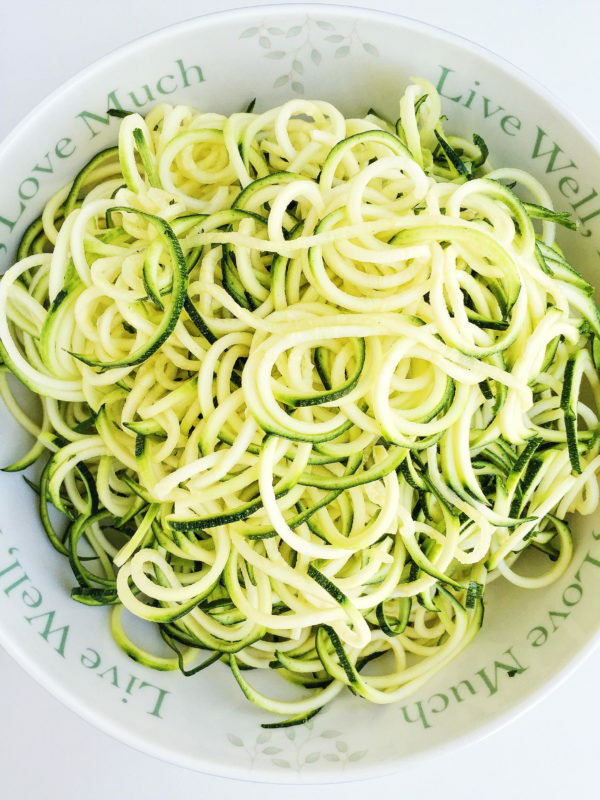 Zucchini noodles replace typical fettuccine pasta. 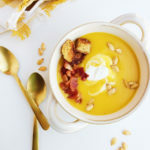 A usually heavy sauce of cream, butter, and copious amounts of cheese gets a healthy make-over with chicken stock, 2% milk, and, yes, a little bit of cheese and a little bit of butter. Emphasis on a little! 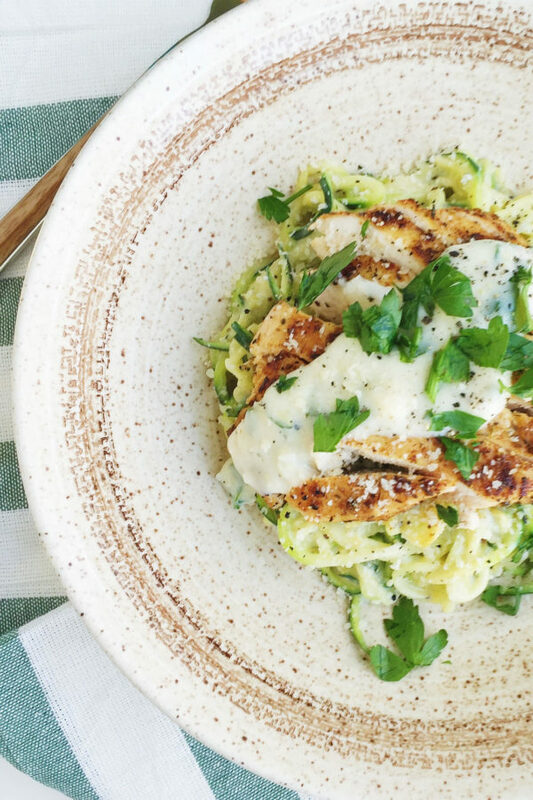 Foster Farms Simply Raised Chicken is a natural choice for this dish. This chicken is raised right here in the Pacific Northwest. No antibiotics are ever used and the chickens are fed a 100% vegetarian diet. 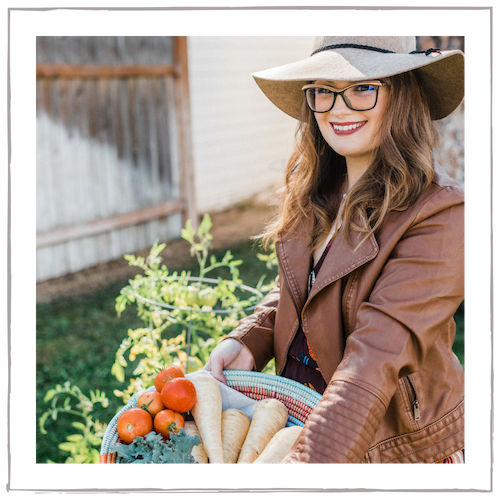 I’m happy to partner up with Foster Farms to bring you some #NewComfortFood! Let’s redefine comfort food together. 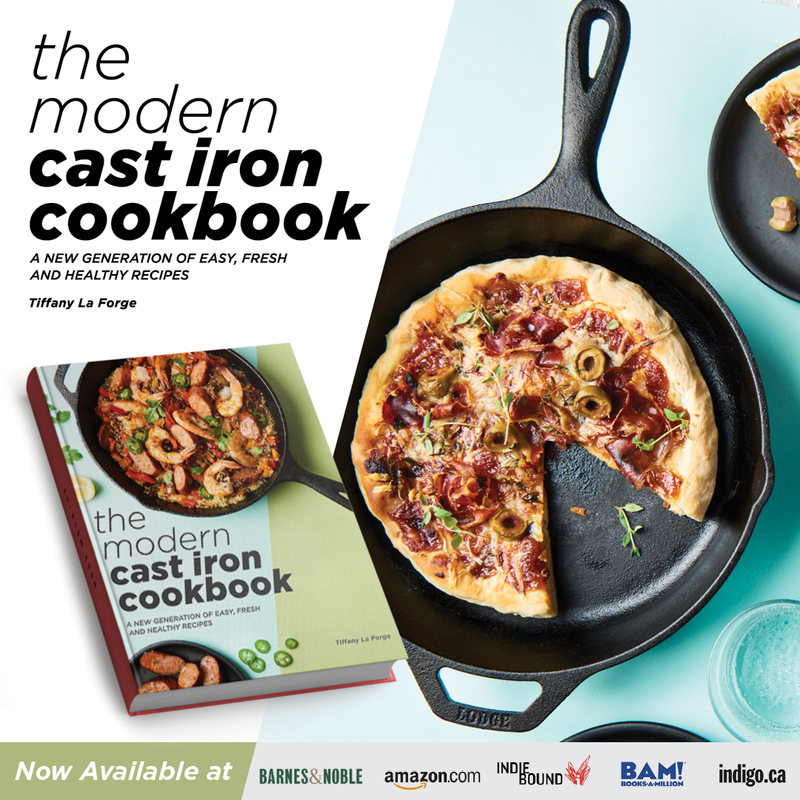 Let’s create a delicious, easy dinner to enjoy with our families. Let’s create memories. Let’s create something we can feel great about eating. 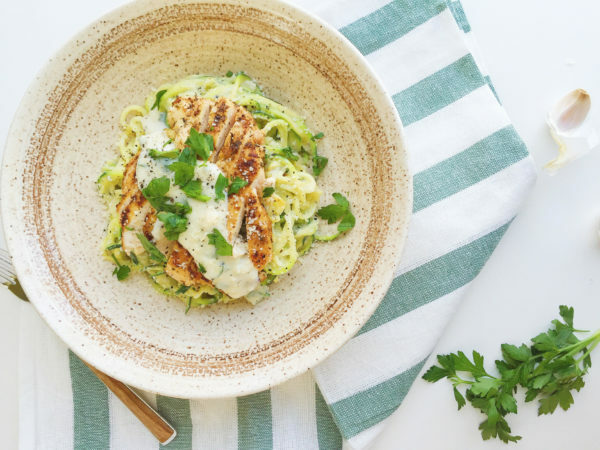 Be sure to check out Foster Farms website for even more creative, healthy, and easy recipes that helps us do just that. 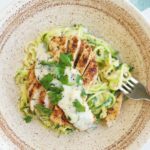 I hope that you enjoy this lightened up Chicken Alfredo with Zucchini Noodles! What’s your favorite comfort food? 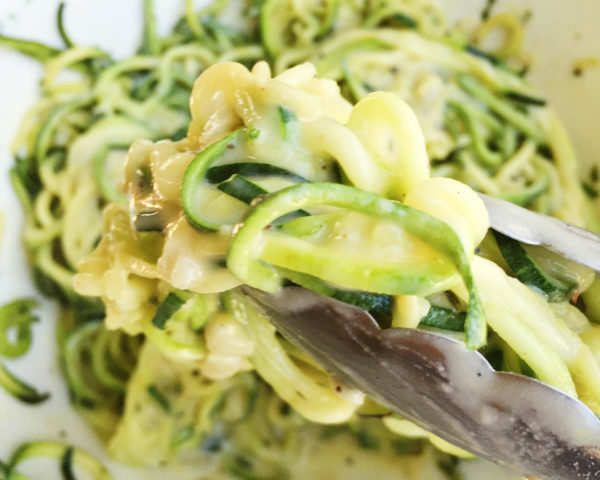 Are you a ‘zoodles’ fan? Tell me in the comments below! This post includes affiliate links but are always products I love + recommend! 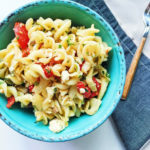 Lightened up Chicken Alfredo is easy, delicious, and much less guilt. 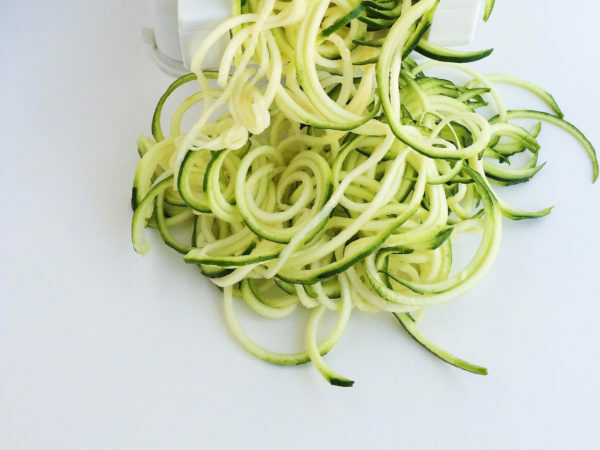 Served over zucchini noodles. 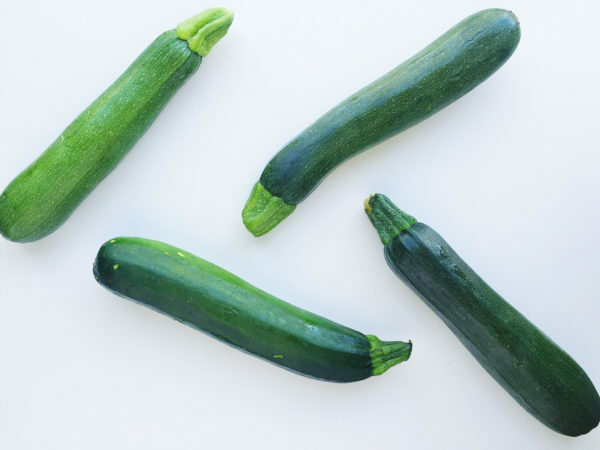 Spiralize the zucchini and cook with 1 tablespoon of olive oil until the zucchini is softened but retains a bite, about 4 minutes. (Think ‘al dente’ and not too mushy). Set aside in a large bowl. Mix together the sea salt, pepper, garlic powder, paprika, oregano, and thyme. Evenly sprinkle on both sides of the chicken tenders. Heat a pan with olive oil and cook the chicken until cooked through and browned, about 4 minutes per side. While the chicken is cooking, heat a deep saute pan with 2 tablespoons of butter. Saute the garlic and shallot until softened and fragrant, but not browned. Stir in the flour and cook for a few minutes more. Cook the roux until the flour is nutty and golden brown. Combine the milk and stock. Slowly pour the mixture into the roux, constantly whisking to avoid lumps. Season with the oregano, thyme, and sea salt and pepper to taste. Add in the Parmesan cheese. 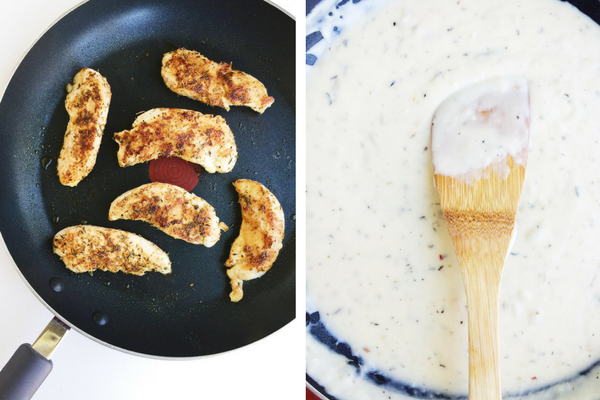 Let the Alfredo sauce cook for about 5 minutes. The sauce will thicken considerably. If the sauce is too thick, thin it out by slowly adding more milk and/or stock. Mix 2 tablespoons of parsley into the sauce. 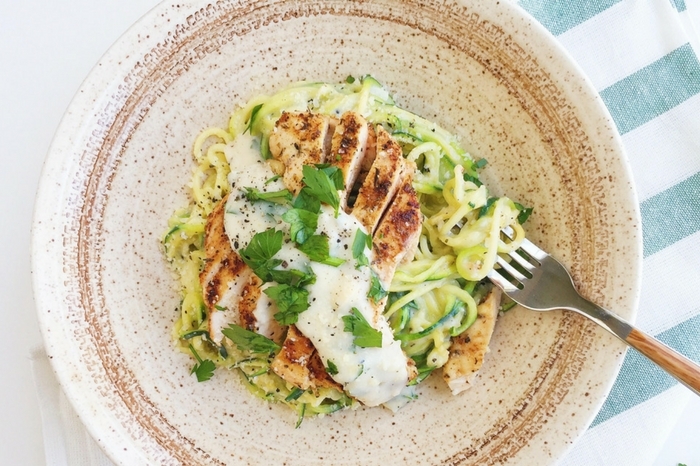 Immediately pour half of the hot Alfredo over the zucchini noodles and gently toss to combine. 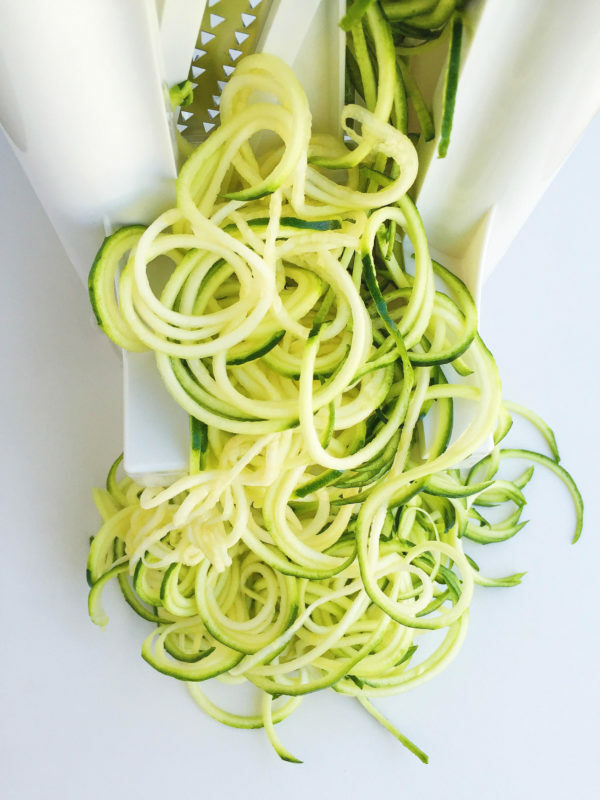 To serve, swirl the zucchini noodles into the bottom of 4 bowls. 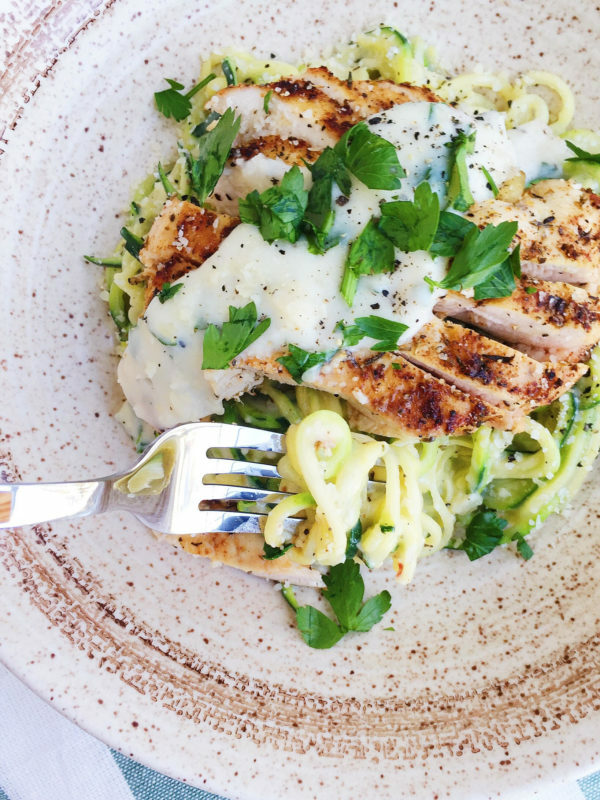 Top with sliced chicken, a spoonful of Alfredo, chopped parsley, and a sprinkle of Parmesan cheese and black pepper. Enjoy! YUM! I can’t wait to make this dinner for my hubby. It looks so good and healthy!